The Escalade is complete with advanced technologies that grip you and the road. 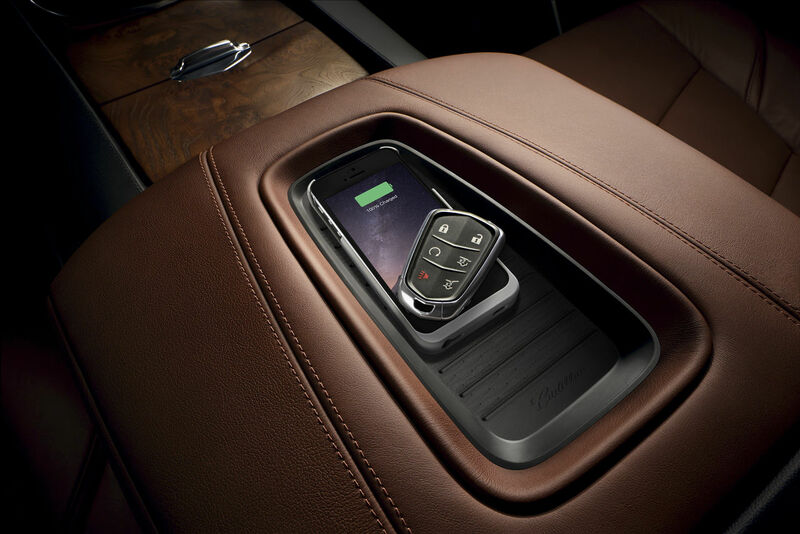 Features such as Keyless Access connect you to your vehicle, enabling you to open or lock the doors, and use the Push-Button Start feature, without removing the key fob from your pocket or handbag. 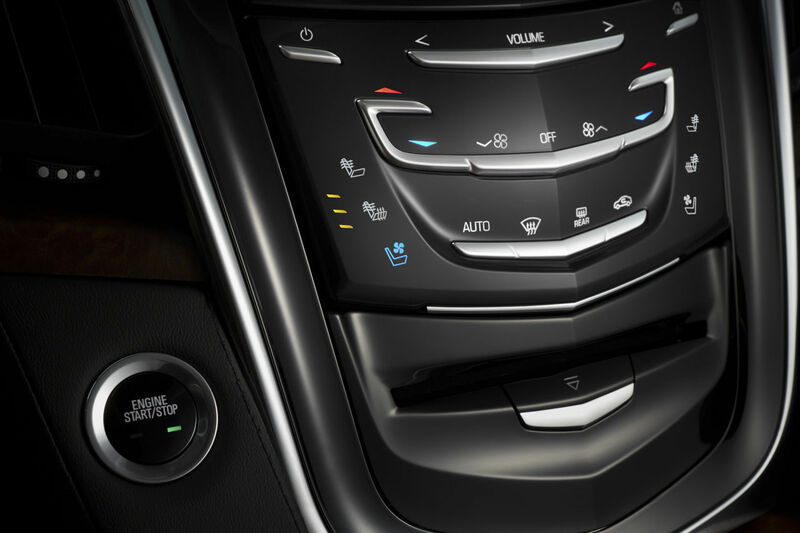 With the Adaptive Remote Start system, the key fob can start your engine up to 100 yards away, and the system will automatically adjust the vehicle’s interior temperature depending on the outside temperature. Inside, you can power up and charge your mobile devices with Wireless Charging capabilities. 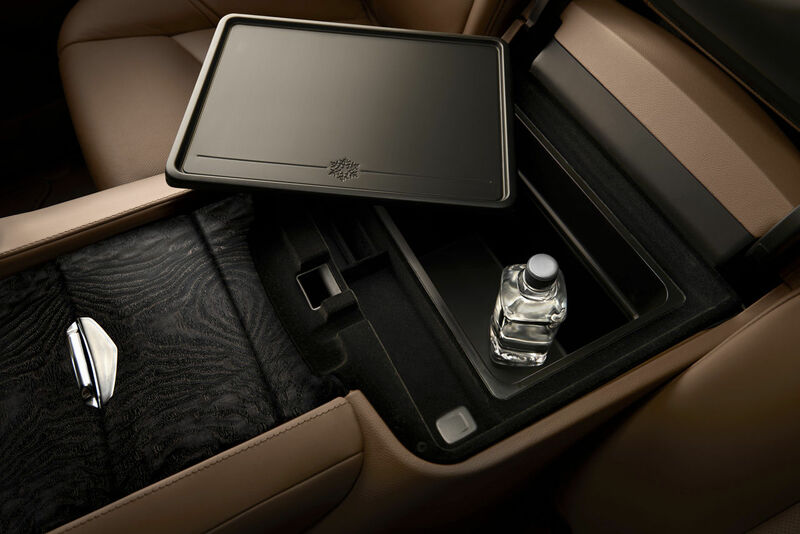 The available Cadillac 4G LTE built-in Wi-Fi® hotspot allows you to connect up to seven devices, up to 50 feet away, so passengers can access their favorite content while traveling. Plus, with the available myCadillac mobile app and a paid subscription, you can lock and unlock, remote-start and get select vehicle information from anywhere you have cellular reception. Technologies can also feed you information while you keep your eyes on the road. The available Head-Up Display (HUD) projects selected information onto the windshield, allowing you to keep your eyes on the road. And a reconfigurable 12.3" LCD gauge cluster lets you choose how you want to see vehicle, entertainment, communication and navigation information. Surround Vision provides a bird’s-eye view of the area immediately surrounding the vehicle when in low-speed Drive or Reverse. This view, projected onto the Cadillac user experience screen, helps increase your awareness during low-speed maneuvering. And lastly, you can park a little easier with Automatic Parking Assist. It steers the Escalade to help you park in parallel and perpendicular spaces while you select the gears and control acceleration and braking.